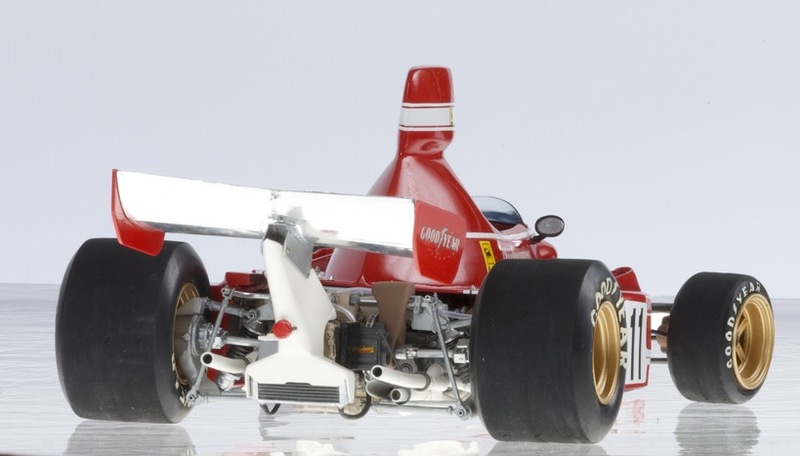 This model built in 1997 represents that driven to victory by Clay Regazzoni during the 1974 German Grand Prix at the Nurburgring. 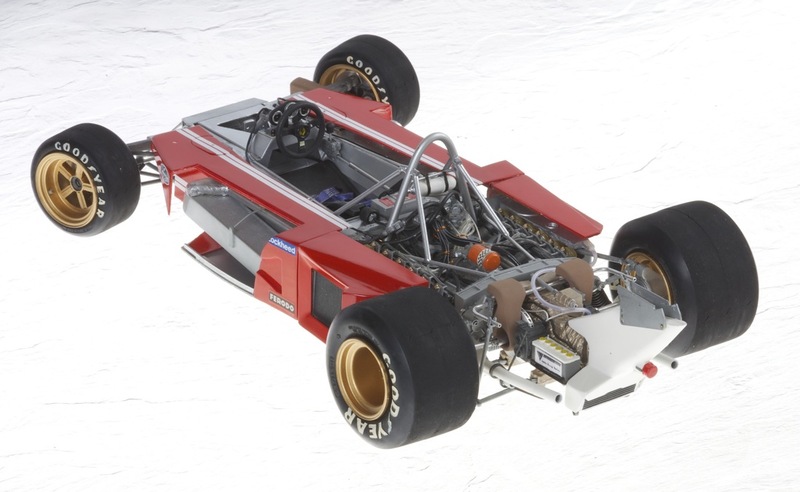 This 312B3 was the final and most successful design on which to provide a more stable platform from which to launch the Championship winning 1975 derivative, the 312T. 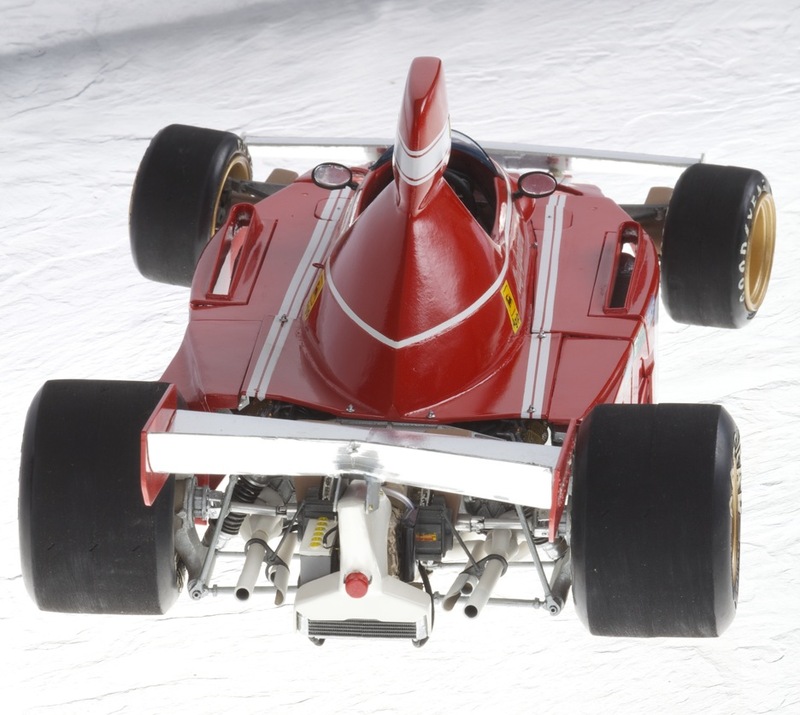 During 1974, Ferrari had drafted in Luca di Montezemolo as team coordinator (acting alongside chief designer Mauro Forghiery) and he with Niki Lauda were catalytic inspiration to Ferrari success over the following years. 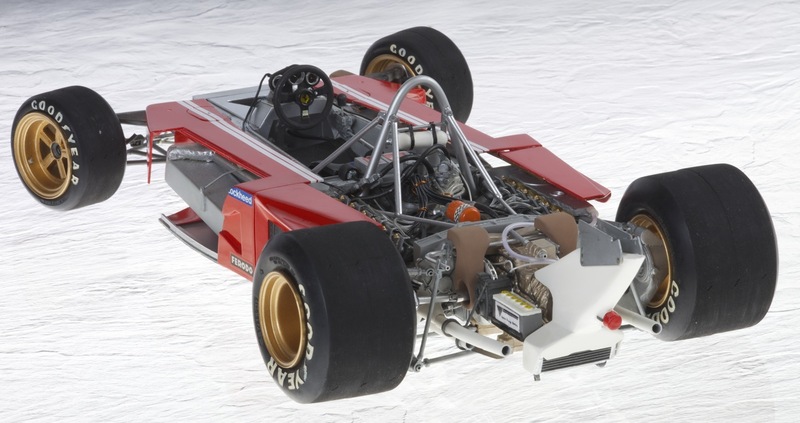 The 312B3 was a good design and worked well all season with refinement to design appearance only, rather than the somewhat desperate variations that graced the circuits during 1973 when the team was somewhat floundering. 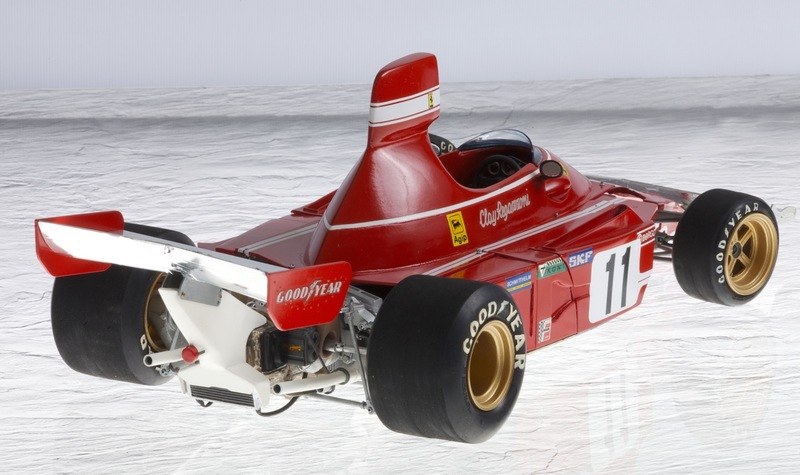 The car employed a longitudinal Ferrari gearbox as of old and the 1970 Ferrari flat-12 engine was proving increasingly reliable and powerful. The combination of enthusiastic youth in Lauda combined with the experienced Regazzoni, gelled by the ambitious and capable Montezemolo increasingly acting as team manager, proved to be the springboard for future success. 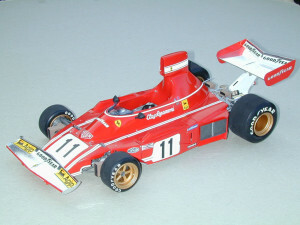 Three Grand Prix victories (Spanish, Dutch and German) resulted in a vastly improved Ferrari Constructors result and Drivers’ Championship challenge by Regazzoni at the final Grand Prix (U.S.), in spite of winning only once at the Nurburgring, but otherwise having had a more consistent year than Lauda. 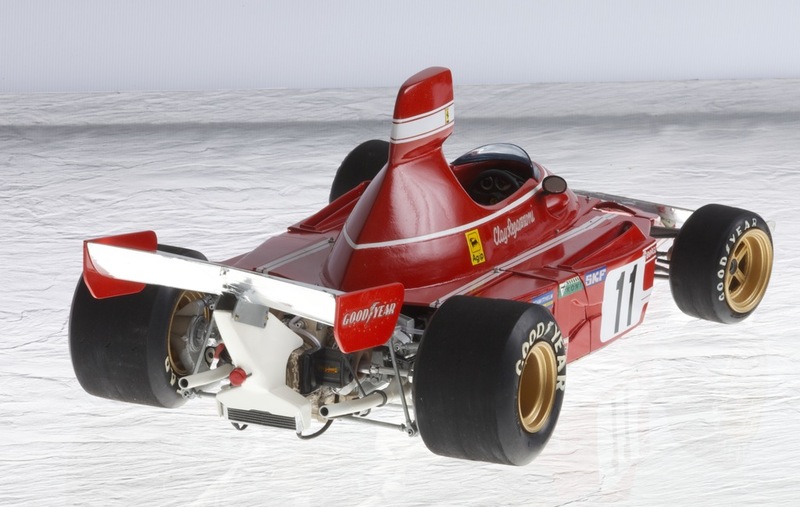 Here, by Viewing the PDF you can better appreciate the manner by which a 1975 Ferrari 312T was transformed into the previous season’s 312B3, in 1997. 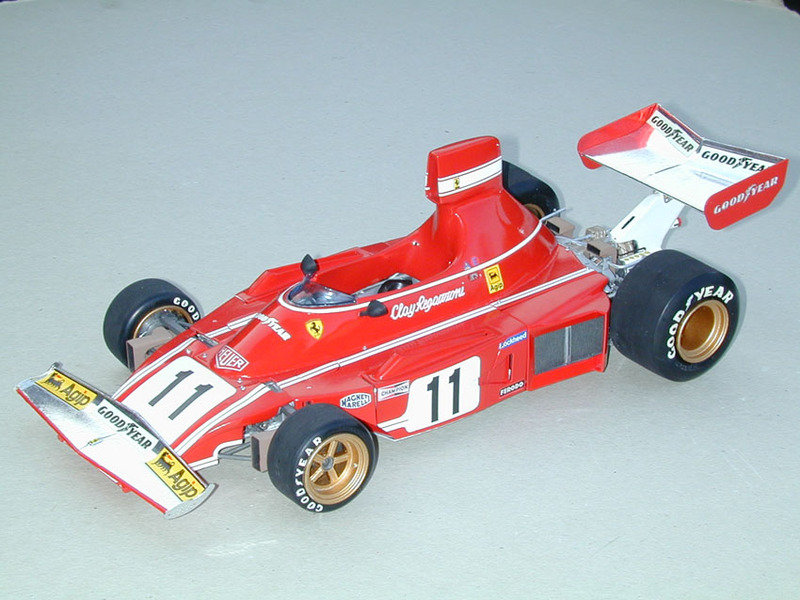 This model marked the real beginning of my realisation that scratch-building whole cars or parts of cars, to convert existing kits into a subject raced a year or two either side of the base model, was possible. I discovered Milliput, a two-part mouldable resin and also automotive aerosol cans to apply a much better paint finish, although my skills in both areas were not particularly refined. I was in possession of a few good references, essentially books for at that time the Internet was not that well developed and my access to it was very limited. 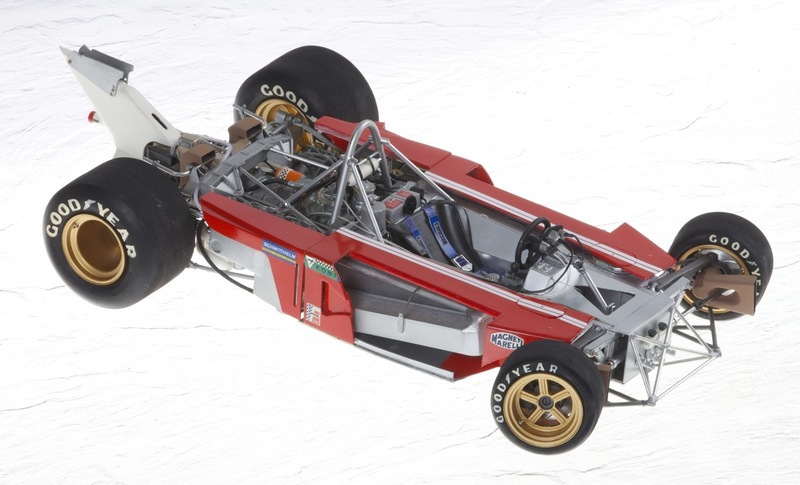 Access to the real car wasn’t even considered possible and it wasn’t until a while later that I discovered the Goodwood Festival of Speed and then it was a question of what cars we were blessed with by enthusiast owners and manufacturer’s demonstrations of precious museum examples. Therefore, without true dimensions to go on and the study of a real car, this model represents what I could gather from photographic/diagramatic references. I would not consider building a model on such limited information nowadays, so its a good thing my enthusiasm outweighed ny current high objectives, otherwise the 312B3 in 1/12 wouldn’t have come into being. A surviving example of a 312B3 did come to Goodwood a few years later and what a treat that was! Additionally, MG models produced this car in 1/12 a few years later and having never seen one built (I wonder how many were ordered, produced and completed? ), I couldn’t comment, however I am still delighted I had the vision and saw it through. However, I did possess sufficient material, enthusiasm and vision to know that a conversion was possible and that I was prepared to sacrifice a donor car and labour for months where others wouldn’t be so eccentric as to try. 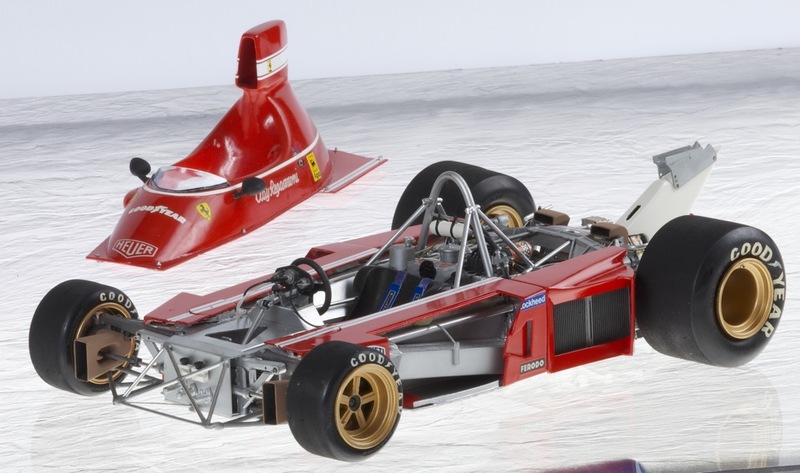 So a rather tired brush painted Tamiya Ferrari 312T was given up to the project and irreversibly, radically sacrificed to produce parts that were new and fresh and distinctly 312B3, characteristic of 1974. 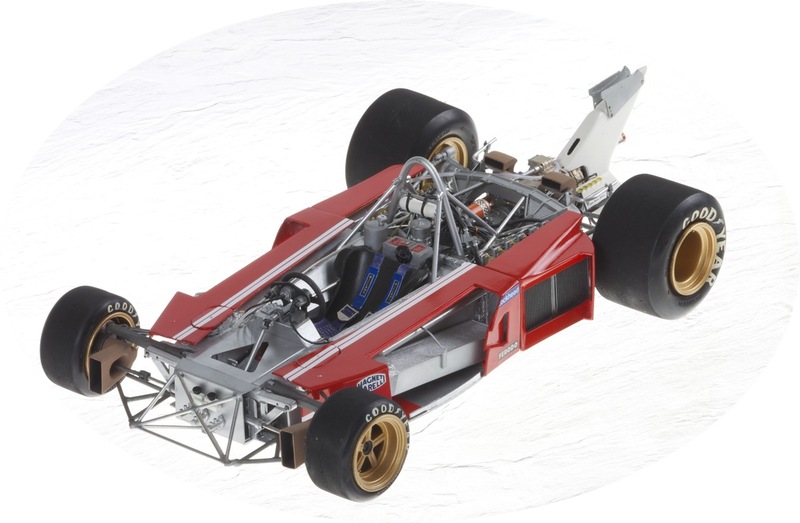 The engine and large area of undertray and inner monocoque were retained whilst the top bodywork was almost completely replaced. The gearbox was press-moulded using Milliput from a Tamiya Ferrari 312B longitudinal ‘box and a copy made, somewhat crude I agree, but I had no spare longitudinal gearbox and no access or knowledge of forming a mould and having a resin copy made. 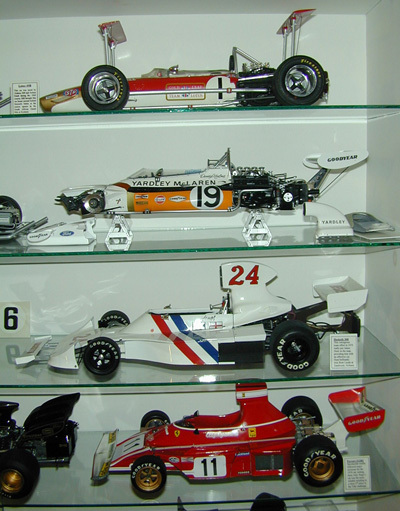 I hand-made the decals, remade wheel centres and utilised the same 312T rear and front wings, choosing a race (German Grand Prix) that most typified parts later appearing in 1975. There were almost unreasonable hours of sanding and filling and even so, the top bodywork is hefty and nothing like that which I would wish to try and produce now; however so long as the contours of the painted surface of the bodywork were correct, that was the most important feature and would capture convincing nuances of the 1974 312B3, which I believe I achieved. For a more detailed look at how the model came to be, please read the above PDF which was written at the time, a far safer approach than trying to recall so many years later how it was done. There are detailed photographs of the build, over the months of effort whilst I neither had the old 312T nor the 312B3 I aspired to, but these reside in my print archive with their negatives and one day I will get relevant ones scanned and digitalised for this website.